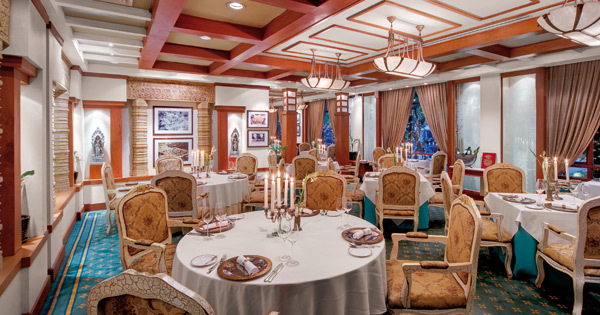 Le Chanthou is indoor restaurant which decorated in traditional Cambodian art blended with a French Colonial style. 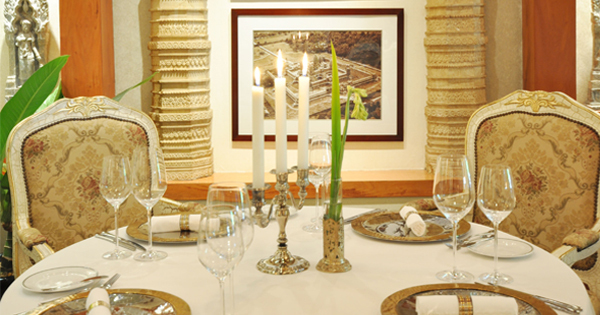 This signature fine dining restaurant indulges guests in luxury private area featuring western specialties dishes and an extensive wine list. 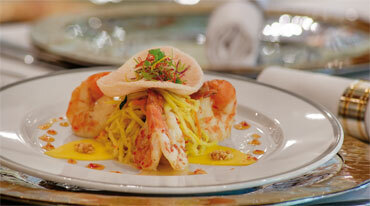 Le Chanthou is most suitable for couples wishing to share romantic candlelight dinner. Guests also can enjoy outdoor dining on the patio overlooking the pool under the stars light. 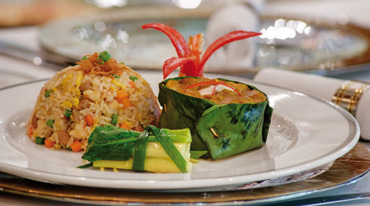 Amok is a coconut curry steamed gently in banana leaves and is considered by many to be the national dish of Cambodia. The curry base of amok is a deeply fragrant paste known as Kroeung, and it comprises a mix of fresh lemongrass, kaffir lime zest and leaves, galangal, turmeric, ginger, garlic, shallots, and dried red chillies pounded or blitzed together. Green Mango is much love in Cambodia. Crisp with a slightly sour flavour it makes a great palate cleanser. Throw in some lime juice, peanuts, fresh herbs and chili and you have a combination of flavour and textures to mouth-watering. 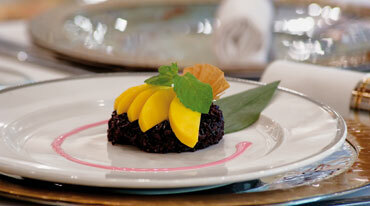 Black glutinous rice cooked in sweetened coconut milk. The sweet sticky rice was then cooked in a ramekin and topped with ripe mango. 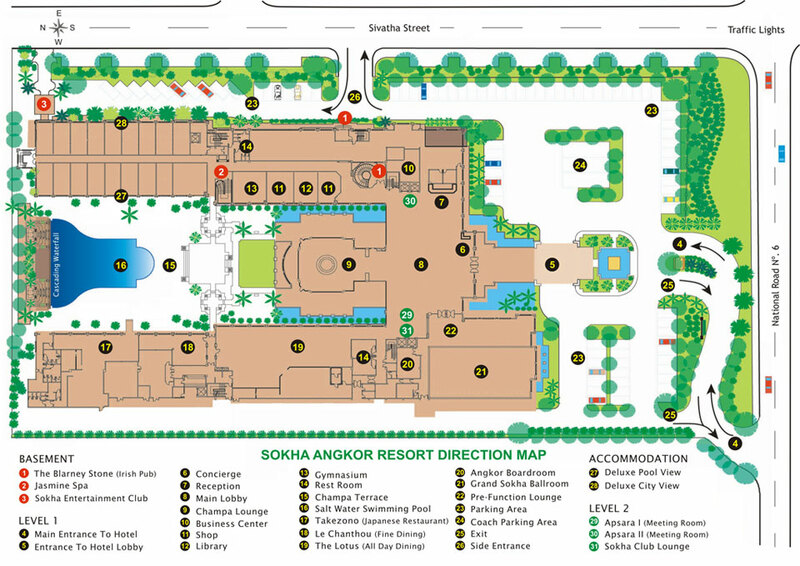 Needless to say, Cambodia - as a tropical country - has a wealth of fresh fruits on daily offer. 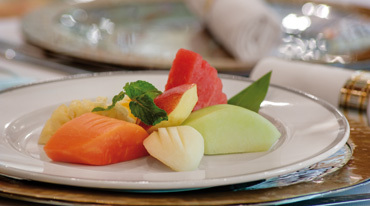 Guests can enjoy many tastes of fresh fruit with sweet and juicy to sour taste.